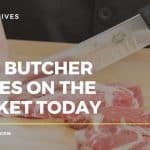 In a follow up to our recent look at the best butcher knives on the market, we are going to discuss another very handy tool you will find in both the kitchen and the butcher’s shop: the trusty boning knife. 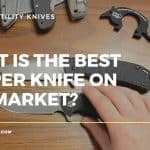 So, what is a Boning Knife and what is it used for? A boning knife is a specific type of a kitchen knife that is sharp and pointed with a narrow blade. The clue is the name of course; a boning knife is designed to remove bones from fish, meat or poultry. A boning knife is therefore used mostly in preparing meat based ingredients. The knife has a sturdy and longer blade making it easy to dissect tougher foods. 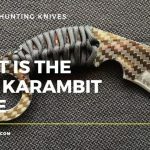 The boning knife also has a bigger handle to offer a better grip, and many will have high-quality stainless steel blades to ensure they are up to the job. There are several varieties of boning knife in terms of shape, size, and color. 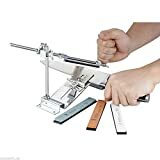 Some are designed to have a flexible blade that enables precision cutting. 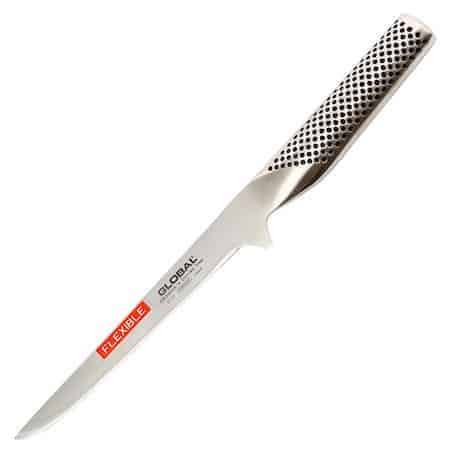 Such a knife is ideal when it comes to filleting fish, (however it should not be confused with a stand alone fish fillet knife). 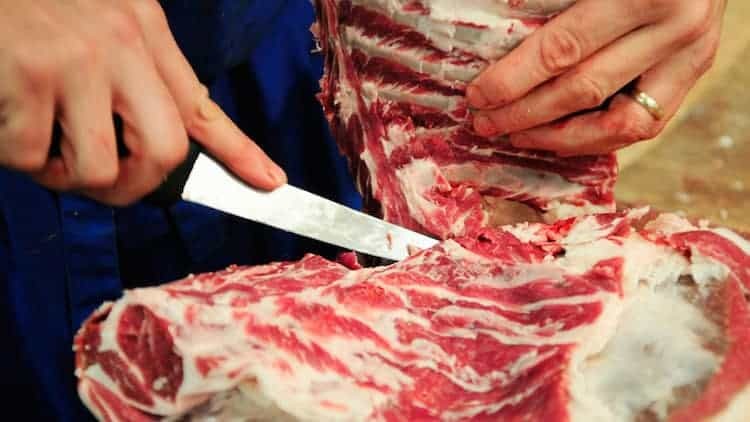 The narrow and long blade also helps you to work around the bones so as to separate them from the meat. 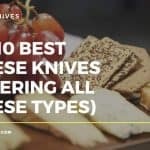 There are two varieties of these knives; a stiff blade knife used to bone beef meat and a flexible blade knife which is perfect for boning fish and poultry products. An example of a flexible knife is the Victorinox 6 inch boning knife. 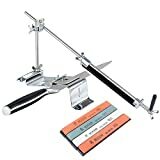 This highly regarded tool has proved very popular in meat packing shops, butchers and the home kitchens for a number of years. Another range of boning knives worthy of comment come from Global. These are crafted in Japan to extremely high standards. Tips on using a Boning Knife. It is vital to understand how to use a boning knife because if you misuse it, you may end up damaging the tool (or even worse, yourself). 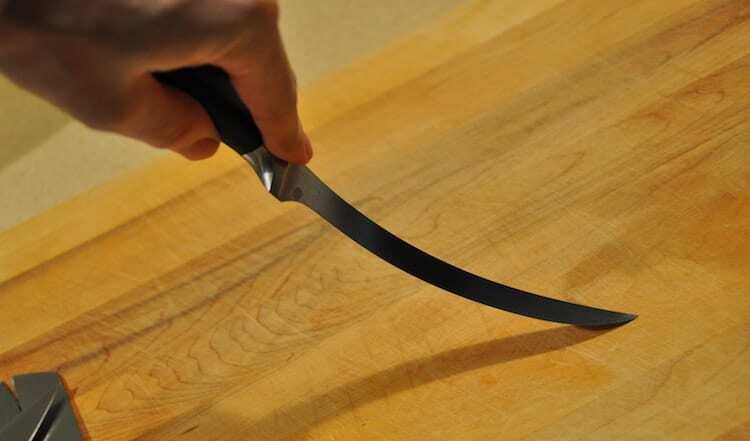 Following these easy tips will help you to use your boning knife safely and effectively. To use this knife in deboning chicken, cut the chicken along the sides of the tendons so as to remove them too. The narrow blade allows you to remove the tendons and the bones without damaging the flesh. 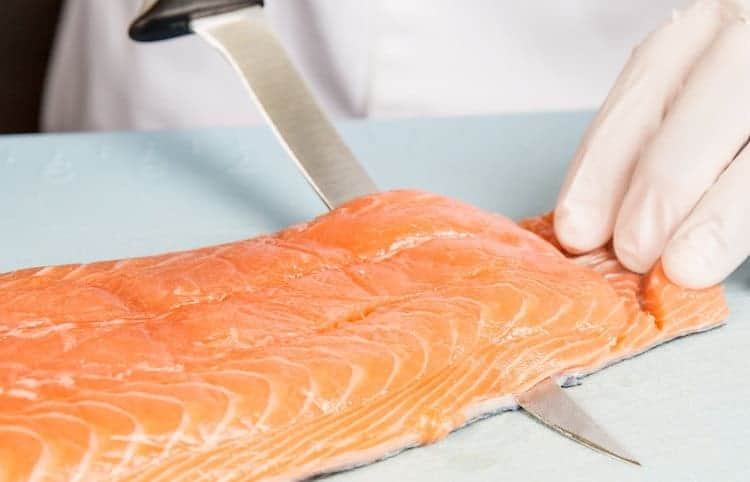 A boning knife is perfect for slicing a delicate flesh of a fish. However, it may be very technical to remove bones from fish meat. Controlling the knife, you should make sure that the blade follows the contours of the fish bones in order to remove them from the flesh. 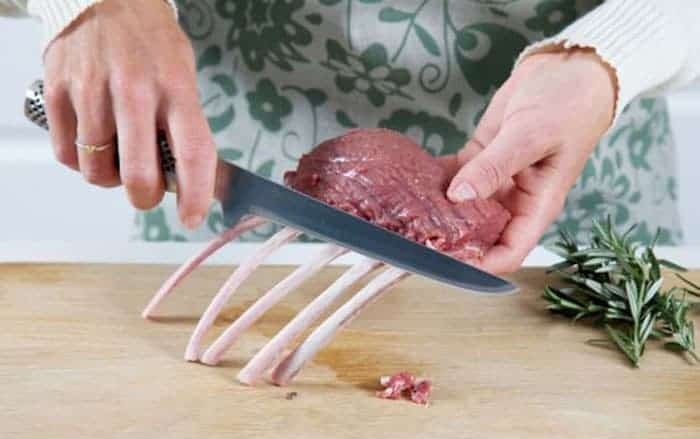 Once you have managed to cut the flesh along the backbone, you can fillet the remaining meat. A boning knife is very useful in removing the thin layers of pork and beef fat. 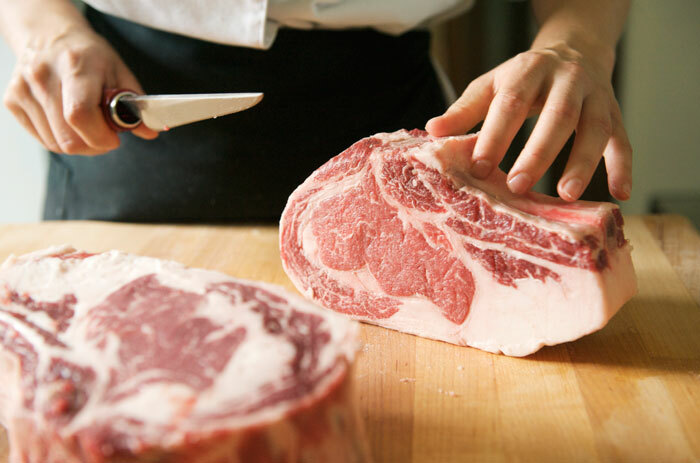 The fat usually takes away the flavor and texture of the meat, and it needs to be removed. To effectively remove it, you should insert the knife in between the flesh and the fat then pull it upwards so as to cut off the fat layer. 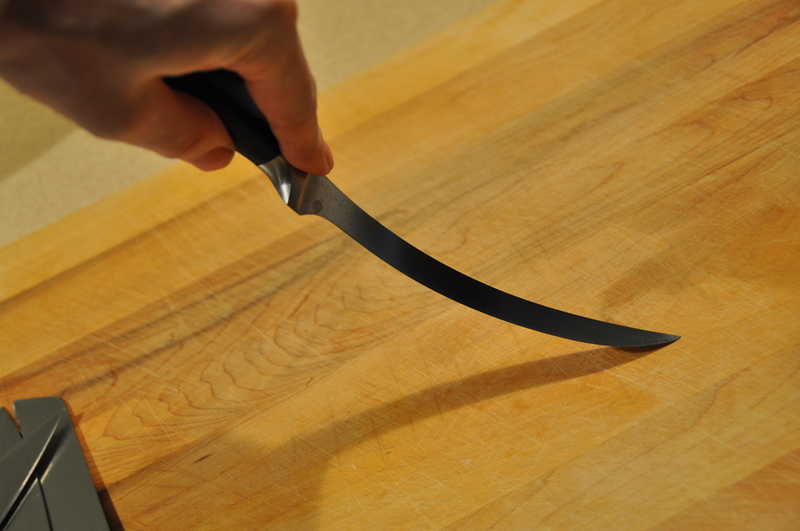 Following these few tips will help you to effectively use your boning knife the right way.